Nottingham Law School undergraduate, Akil Hunte, has successfully secured a Freshfields Stephen Lawrence 2016 Scholarship. 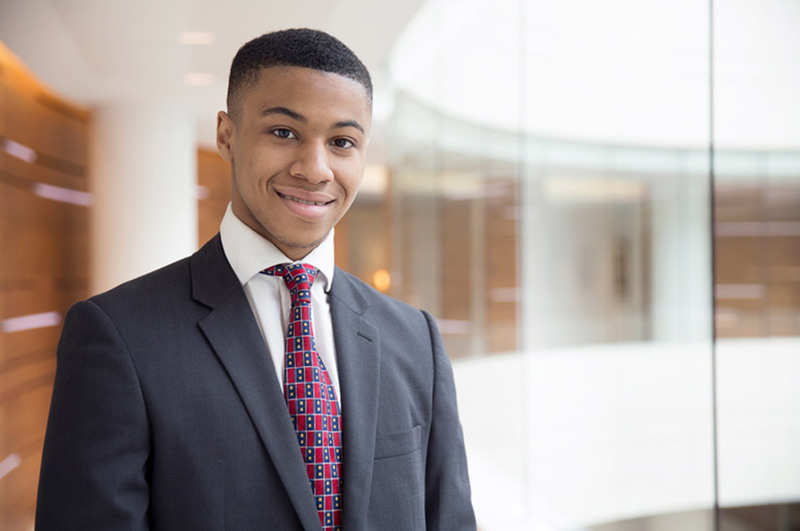 Nottingham Law School undergraduate, Akil Hunte, has been awarded a Freshfields Stephen Lawrence 2016 Scholarship. This prestigious award, aimed at first year undergraduate law students, seeks to address the disproportionate under-representation in large commercial law firms of black and black mixed race men from low-income households. The scholarship is provided by global law firm Freshfields Bruckhaus Deringer. Having secured the award, Akil will have access to a development programme, mentoring and a bursary. Freshfields also offer their students the opportunity to spend time at the firm during university holidays, as well as a guaranteed interview for a training contract at the firm. Akil, LLB (Hons) Law, said: "The scholarship will mean I will receive a greater insight into the legal profession through mentoring, interview coaching and other development opportunities, commercial familiarisation during the holidays and an alternative route to a training contract with the firm." As well as successfully securing the scholarship, Akil also started a new society called The New Black during his first year at university. Akil told us that his favourite memory at NTU so far was when this society received approval from the NTSU. "I have made a lot of progress this year but because of the scholarship and approval for The New Black, I now know I’m not on my own and have a team of positive people who are willing to work with me to move forward," he added. For further information on the various careers opportunities and schemes available to NLS undergraduates, students can contact their careers consultant, Edward Mosley, or visit the City Employability Hub.